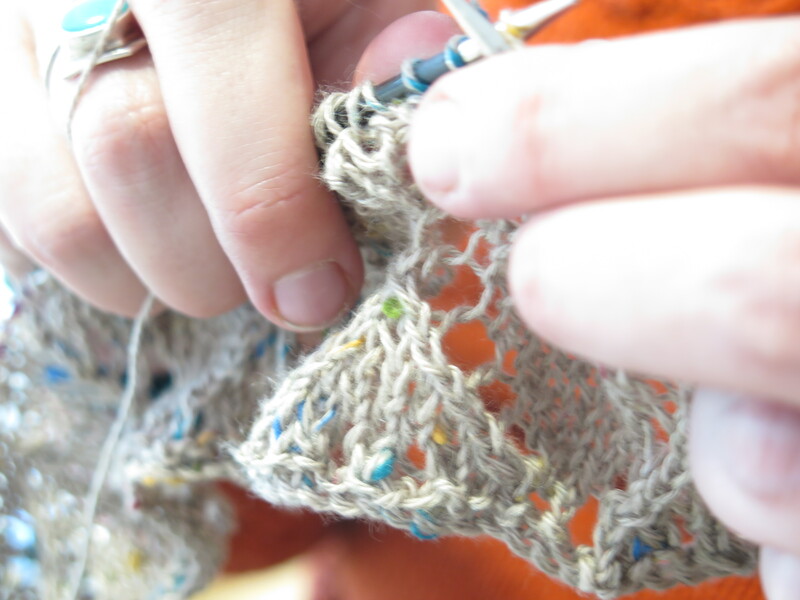 For a number years we have been following, and promoting, the research by Betsan Corkhill and others that shows that knitting and crochet is good for our mental and our physical health. Our very own Bronagh has even knitted on live TV while wearing a heart monitor to prove how calming and relaxing making one stitch after another can be. We have even described yarn craft as “practical mindfulness” because it can allow you to be focused in the moment, can help you to shut out extraneous noise, etc and generally be calming while at the same time being a creative process that gives you a tangible end result. So we have been interested and encouraged to come across a number of authors talking about this idea under the label “craftfulness”. This term seems to been coined by authors Rosemary Davidson and Arzu Tahsin for their book of the same name. Arzu and Rosemary write about how making an object can lift your mood and increase your energy even when the actual making can appear repetitive or meditative. This definitely something a lot of knitters and crocheters will recognise. The Craftfulness book in turn prompted NHS psychiatrist and author Dr Max Pemberton to reflect on mindfulness versus the benefits of an activity on mood and reducing anxiety. He says that while mindfulness has a place, a lot of people won’t continue with it on its own whereas when knitting or crochet are used as a therapeutic tool people have a sense or purpose and continue. Plus these and similar activities have a social aspect that connect people, offering further benefits. With all these good crafting vibes around we are really looking forward to teaching people to knit and crochet at the Knitting and Stitching Show in Harrogate this week. You can also join us to work on mini Christmas stocking for our annual appeal and to ask the Yarn Doctor for help with your knitting conundrums. You will find us in the Mindfulness Zone in Hall C.
Come along, sit and use some hooks and needles for a little mid-show recovery.